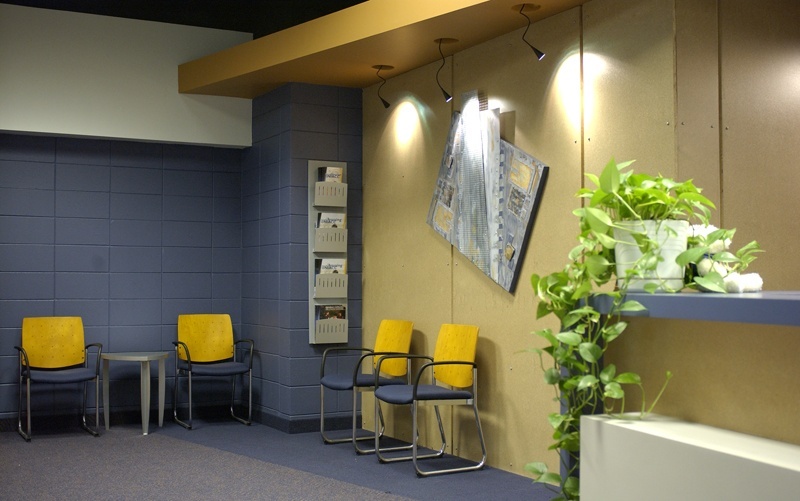 A major goal in remodeling the admissions and athletic offices at NIACC was to create a memorable first impression on potential college students entering the space. 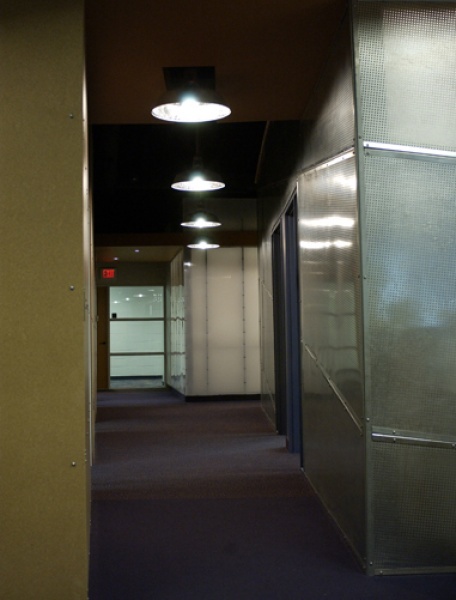 The project team created a fresh and functional style that is at once intriguing yet not intimidating. 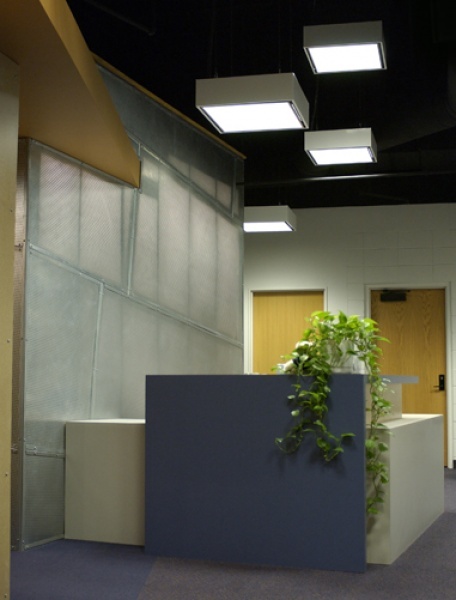 Textured and smooth materials such as perforated metal, MDF fiberboard and Plexiglas wall panels are used in unison with crisp paint colors and straightforward furnishings. 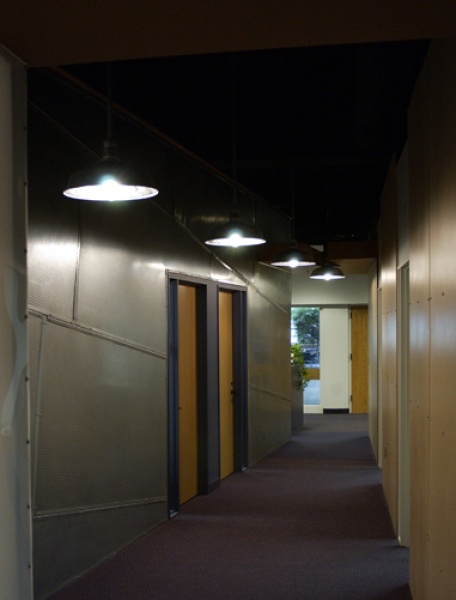 Industrial inspired lighting fixtures illuminate the walkways, conference rooms and reception desk.